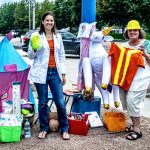 Exploring all things dinosaurs seems to be most pre-K to early elementary kids favorite learning theme. 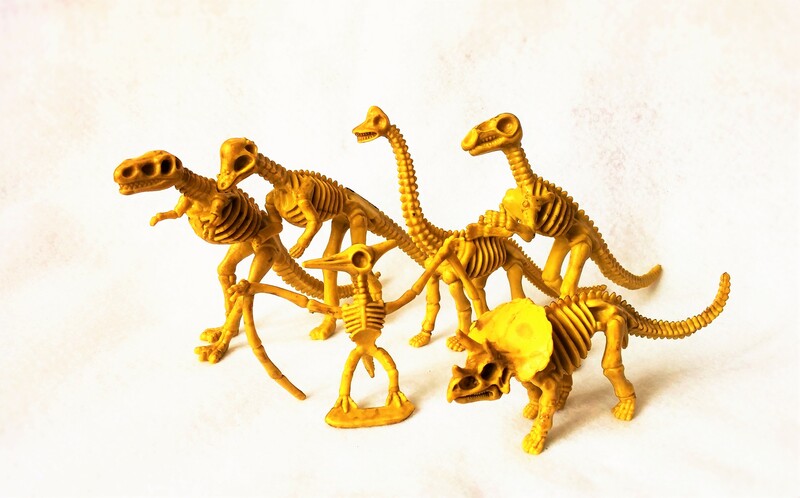 No Non-cents Nanna once included of dinosaurs pieces parts in her Heart Felt Play Store Collections. 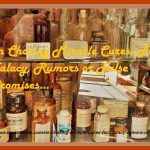 Please note the on-line store has closed permanently in order to have more time to care for a loved one with health issues. Content is being edited. Some images once Buyable on Pinterest are no longer for sale. We decided since the images inspired so many that we would attempt to leave many post still in publication. 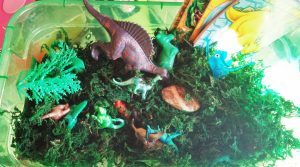 Dinosaur Sensory Play Box created by Heart Felt Play Store: various sizes and textures of plastic dinosaurs; frog moss to dig thru’, rocks, plastic trees. Hunt and gathering fun. Kids love to play with dinosaurs. Let give a big pre-historic roar for these stuffed tails of dinosaurs! Dinosaur Skeletons have returned…then again they are disappearing, again…. 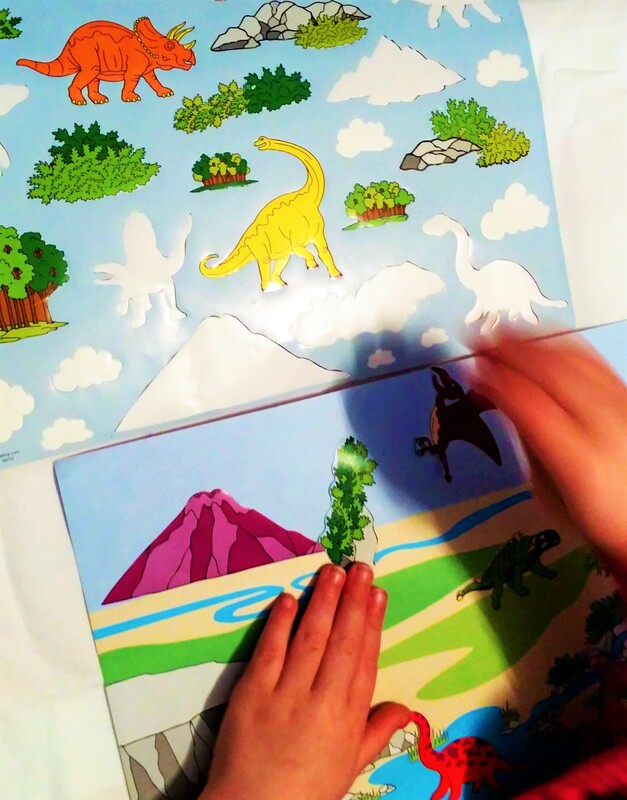 Reusable dinosaur stickers on a paper scene. Personally, I place the paper scene inside a plastic sheet that is used for a 3-ring binder. 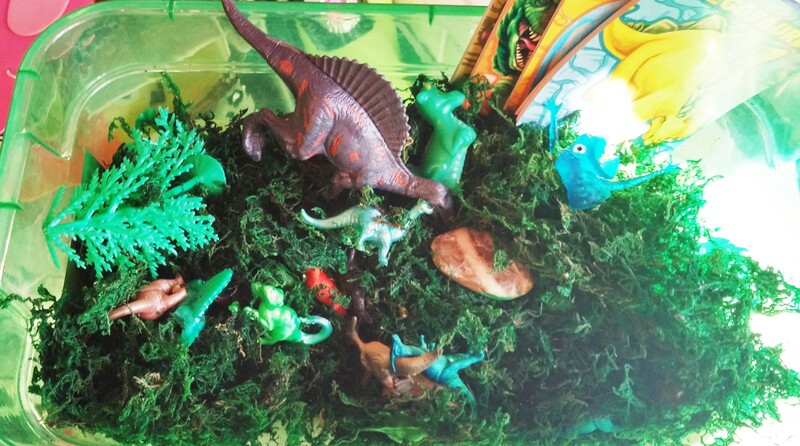 Not included in the Dinosaur Sensory Play Box. Dinosaur sticker scenes are fun and reusable. Kids love’em. One 11 x 8 1/2 paper pre-historic scene to decorate. 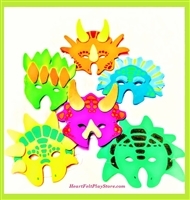 While some of dinosaur products are making way for other toys- we hoarded foam dinosaur masks just in case. Don’t wait for a better price on Black Friday or Cyber Monday– our elves tend to eat too much turkey and pumpkin pie- they sleep it off for days.